celtic christianity « CONSTABLE RESEARCH B.V.
Kondratiev did not look at very long term waves that span many generations. He also did not realize that the Kondratiev-Wave contains a Fractal pattern, the fractal of the Seasons. A fractal-pattern repeats itself on many levels with different periodicity. If you understand the fractal pattern, the levels and the frequencies of the Harmonic Universe, it becomes very easy to predict the short and long term future. According to Kondratiev the Depression will end around 2012. The harmonic levels interfere, creating resonances or overtones. The self-referencing harmonic structure of the Universe can be seen in Nature, Music (the Music of the Spheres) and Colours (The Seven Rays). One of the most important cycles for this moment is not the Kondratiev but the Precession. It is a very long time cycle with a periodicity of about 25.000 years. The Cycle played a very important role in Astrology. The precession predicts a very important transformation around 2012. This transformation coincides with the start of the Spring Phase in the Kondratiev Cycle. Around 2012 the Very Long Term Precession Cycle synchronizes or conjuncts with the “long term” Kondratiev Cycle. The Cycles are “added up”. 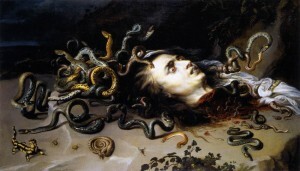 Around 2012 we will experience a Giant Jump into the State of the Imagination and Creation. Another very Long Term Cycle is the Cycle of Culture. This Cycle has a periodicity of 1250 years. Strangely enough this cycle also moves into the Spring-State around 2012. The coming Spring-state in 2012 will start with an Innovation the World has never seen before. 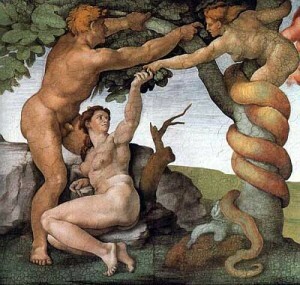 The states of the cycles, the Seasons, are related to “Themes” or “Meta Narratives” (Myths). The old Magi, the Astrologers, used these themes to explain what would happen to the layman. They projected the Story of the Precession on the Movement of the Stars and the Constellations. 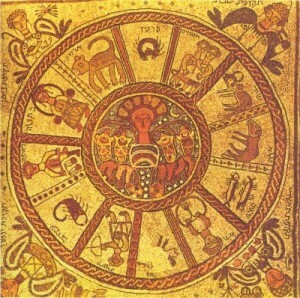 The Story of the Precession, the Zodiac, can be found in many myths in many cultures. If you understand the Myths of the Zodiac you know what will happen on the very long term and why it is happening. The same Meta-Stories, written in the language and the metaphors of the Middle Ages, were later projected in the Cathedrals of the Masons. If you walk the labyrinth you will be guided through all the stages. The meta-stories always appear in literature, art and in our time in Movies and Games. The Theme of the current Season is easily identified when you understand the Meta-Patterns. Michael Bahktin found the meta-patterns (Chronotopes) of the Magi in literature and Joseph Campbell found the same Meta-Narratives when he researched ancient Myths. He called the meta-patterns the Hero with a Thousand Faces. What is going to happen in the Short Term is visible in your Dreams. 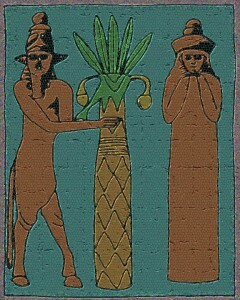 Jung has spent all his life to find the pattern behind dreams (The Archetypes). The Archetypes can be easily mapped to the meta-patterns of the Hero, the Chronotope and the Zodiac. When you reflect about your dreams, the movies you like or are afraid of, the books you read, the paintings you paint, the poems you write and even about the “slips of the tongue” you know what is going to happen in the short term. Your Unconsciousness knows everything and the only thing to do is find the key to understand what it is telling you. 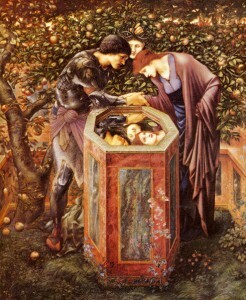 The theme of the Quest for the Grail, the Infinite Resource, is the theme of our Time. This theme is not a coincidence. Coincidences (signs and signifiers) are also not happening for nothing. They are trying to tell us something. The Western Mind has lost its focus on Signs, Dreams and Coincidences. They are funny or interesting stuff to talk about. I advice you to take them seriously because the Winter of Kondratiev in combination with all the other conjunctions will finally force you to accept a World behind the World you are Seeing. The World behind the World is already known by the Physicist. They understand that the World is a Self-Reference, a Fractal. They also know that Linear Time is an Illusion and that there are many Universes. These Universes are now highly mixing with our own Material Universe. This happens when major waves conjunct. Suddenly people start to communicate with Ghosts, talk with Trees, are aware of Extra Terrestrials and have strange feelings about being in different times in history at the same place. Believe me You are not getting Crazy! You are moving like every Soul on Earth into the Great Conjunction. The Cycle of Culture repeats itself just like the Kondratiev. We are not only going to repeat the Great Depression (Kondratiev) and the Phase of Aquarius (Precession). We are also repeating the Dark Middle Ages (2008-1250=758). Don’t you think our Time has a lot in common with this phase in Western History? It is not difficult to detect the new Witch-hunters (the Inquisition), the new Crusades (Iraq, Afghanistan), the new Plague (Aids) and the new global warming (The Medieval Warmth Period). The four Babylonian symbols represent the four fixed signs, the Cross of the Zodiac, Leo, Taurus (Bull), Scorpio (Eagle) and Aquarius (Human). They are related to the four ancient elements of Air, Water, Earth, and Fire, the four evangelists (Mark/Lion, Luke/Bull, John/Eagle, Matthew/Human), the four Seasons and the four possible Views on the world (Rules (Lion), Senses (Bull), Emotions (Human) and the Imagination (Aquarius) of Will McWhinney. The Twelve parts of the Zodiac are the twelve (4×3) possible combinations of the Four Tetramorph. The tetramorph themselves are combinations of the same aspect (the Bull = SensesXSenses). Will McWhinney calls the twelve combinations “Games” or “Conflicts” because it is impossible to Unite the Four Tetramorphs. They represent a Tension or a Force. We have to learn to Balance the Four Forces so they are able to Unite in the Center, The One (the Thirteen). The Zodiac denotes an annual cycle. The constellations also move in a cycle, called the Precession, with a duration of 25,800 years. The Precession is moving retrograde (in the opposite direction) of the movement of the Sun in the yearly Zodiac. The precession is an indicator of the cultural or religious state of our World. During the phase of the Pisces many Fish- and Water related symbols were used. It is very interesting to see that the Roman Church is based on the worldview of a very old precessional symbol, the symbol of St Peter and St Mark, the Lion. In the Roman Church the Sins (the Senses) of the Bull have to obey the Moral Rules of the Lion. Starting about 200 BC, Pisces, The Fish, became the ruler of the cycle of precession. Love thou Neighbor, became the object of Early Christianity. The Roman Church, an extension of the Empire of Rome, was never able to implement the Social Vision of the Fish. It remained a hierarchical controlled structure with the Pater (Peter), the highest rank in the hierarchy of Mithras (The Killer of the Bull), at the top. We are now moving from the State of Water into the State of Air (Imagination, Creation). The Social Structures of the Church will be replaced by Connected Individuals who want to Share and Express a Personal Mystic Experience. The view of John the Evangelist, the view of the Mystic and the Poet, is hidden in the Inner World, the Imagination, of the Human. 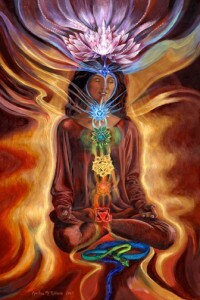 According to the Mystics the Outer World is an Expression of the Creative Power of this Inner World. John the Evangelist was a disciple of John the Baptist before he became a disciple of Jesus. 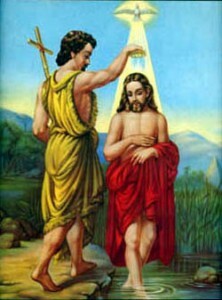 John the Baptist used Water when he baptized Jesus. 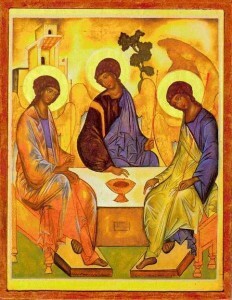 He initiated John the Evangelist and Jezus into the Gnostic Mysteries. Jezus relates John the Baptist to the prophet Elija (Elias). (“there has not been raised of those born of women greater than John the Baptist. … if you are willing to accept it, he is Elias … the one about to come.” (Mt 11:9-14)). The symbol of John the Baptist was not the Eagle but its antagonist, the Dove. When we look at the symbolism of the Dove we are able to detect who John the Baptist really was. John the Baptist represents Elija, Vishnu, Oannes, Enki and Ea, the Creator of our Universe, the Lord of the Waves. The Dove is represented in the Zodiac by the Pleiades, the Center of the Cross of the Universe. In the next part I will give you a very brief introduction into the Believe System of the Mystics. It is very important to understand that the Mystics believe that the Creator of our Universe is not the creator of the Whole, the creation itself. The process of Creation is an Act of the Imagination of the One, a formless Entity also called The Light or the First Logos, the Word. The One has delegated the process of creation to other creators who are an emanation of the One. “In the beginning was the Word (Logos), and the Word was with God, and the Word was God“. A creation of a creator is able to create his own reality. One of the creations is Earth and the Humans on Earth are also able to create their own reality with their Imagination which is an expression of the Imagination of the One. The One splits itself in many parts. The first creation, the Second Logos, is the Two, The Cosmic Father and Mother (Light, Darkness, Yin, Yang). The One, The Cosmic Father and the Mother are the Trinity represented by the Letters I (I am the One), A (The Beginning) and O (the End). (Revelation 1: 8: I am, the Alpha and the Omega). IOA comes back in the name Ioa(ness),the Fish-man, John and the IOROBA of Africa. The Human is the last step in the creation. He is a five-fold creature, a combination of the Four Forces of the tetramorphs and the Light of the One. Our Universe is one of the creations of a creator called the Demiurge (Ea, Enki). The Human Soul is in exile in the creation of this Demiurge. There are many universes and Earth is part of one of these universes. Earth is part of the (Dark) Material Universe. The Soul, the Sparkle of the Light, will eventually return to the One. It is helped to return to the One by other Souls (Angels, Archangels) to reach ‘the Worlds of Light’. One day the world will be saved when Oannes, Enki, Vishnu, Jesus comes back. Our Reality is governed by a Cyclic Process. This process is created by the Demiurg to keep the Souls in the Black Material Universe. Planets and stars influence fate and are also places of detention after death. The Book of Destiny, the Book of Revelations, created by the Demiurg and written in the language of ancient Astrology, describes the Cycle. The Souls have to Jump out of the Cycle, through the Hole in the Universe, to reach the World of Light of the One. The Hole in the Universe is in the Centre of the Rose, The Heart. Mysteries (Rituals, Sacraments) purify the soul, to ensure her rebirth into a spiritual body, and her ascent from the world of matter. The Knowledge of the Mysteries is hidden. The Hidden Mysteries are revealed by the Light, the First Logos, at the time when the Seeker has stopped looking for the Answer to all his Questions. At this moment of complete silence The Light Leads the Way. 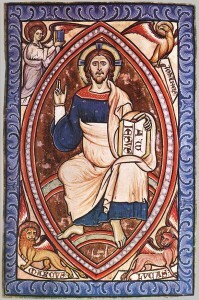 John the Evangelist and his mystic woldview can be found in many old and almost extinct religions: Manicians, Coptic, Druze , Alawites, Essenes, Mandaeans, Chaldeans, Valentinians ,Cathars, Sufists and Armenians. IOnA is a small island in the Inner Hebrides of Scotland (Scota) that has an important place in the history of Christianity. Iona formerly named Innis nan Druidhneach (the Island of the Druids) was a primary seat of learning for the pre-Christian Celtic Druid Magi until St. Columba, the Dove, was exiled from his native Ireland (Tara). 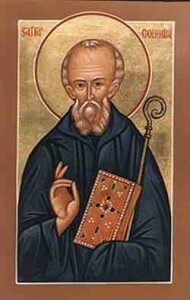 St. Columba founded a monastery on Iona with 12 companions. Iona’s fame as a place of learning and Christian mission spread throughout Europe. Iona became a holy island where several kings of Scotland, Ireland and Norway came to be buried. 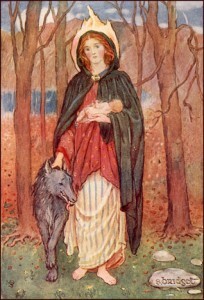 St. Columba later came back to Kells, close to Tara, and created another Monastery. One of the most important relics that was taken from Iona to Kells is the Book of Kells. 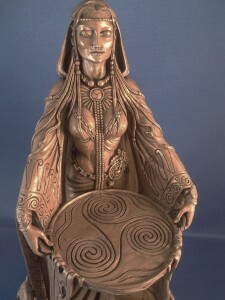 The most important mystical place in Ireland is called Tara. It is, according to legend, the place where the followers of Ioaness, guarded by the prophet Jeremiah (586 BC), accompanied by his scribe Baruch, and the daughters of Zedekiah, the last king of Judah, went in exile when Jerusalem was taken by the Babylonians under Nebuchadnezzar. One of the daughters (Tea Tepi, Scota) marries Eochaidh the high king of Ireland. Jeremiah brings many important relics to Ireland including Jacob’s Pillow, the cornerstone of the temple of Salomon. The religion that came out of Kells and Iona was very different from the religion that came out of Rome. It was the religion of the Celtic Druids AND the followers of John the Baptist called Celtic Christianity. Celtic Christianity was completely destroyed by the English Rulers of Ireland and Scotland. Just like the Roman Church destroyed the Cathars and Islam destroyed the Druze. Celtic Christianity went underground and came back as The Kabbalists, the Alchemists, the Rosicrucian’s and the Free Masons. We are now entering a new phase in the Zodiac called Aquarius (Imagination). The view of John the Evangelist will become the Spirit of the Time. It is not necessary to create a New System of Rules, a Religion. The Dove is silently waiting in our Inner World to move Outside to bring Peace to the World. The Rose of the Heart will slowly open without any outside pressure.